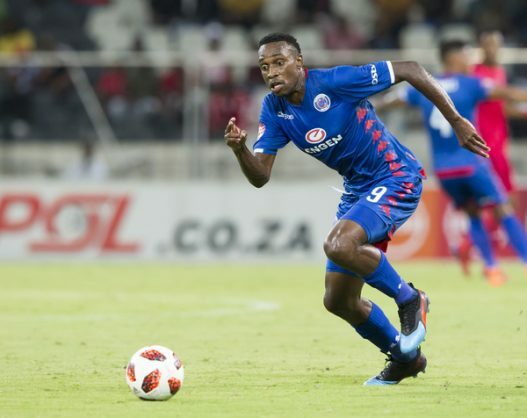 SuperSport United striker Mxolisi Macuphu was lucky to come out of a car accident unharmed in the early hours of Saturday morning, according to reports. According to the Daily Sun, Macuphu’s VW Polo TSI was written off in the accident that happened on the Vosloorus, Ekurhuleni, off-ramp from the N3..
Macuphu, who was with his girlfriend and friend in the car, was driving home from Mbombela after the game between SuperSport and Kaizer Chiefs on Friday night. According to the report, Macuphu hit the back of a blue Range Rover that was parked in the yellow lane. Ekhurhuleni EMS spokesman Vincent Khoza said they received a call about the accident at about 3am in the morning and took three male patients to Thelle Mogorene Hospital in Vosloorus.